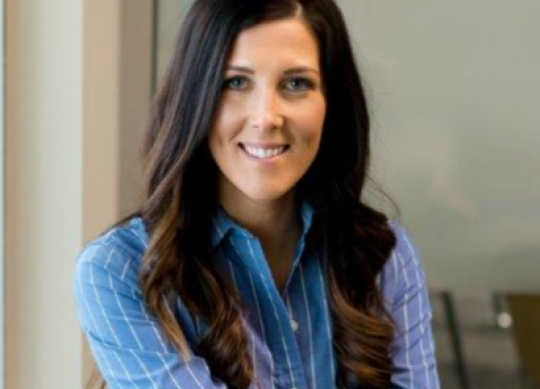 Megan Versau has been recognized by Western Michigan University's Haworth College of Business 30 UNDER 30. Megan Versau is currently the Executive Development Director of Nobis Agri Science, where she brings a fresh, innovative perspective to the fast-paced agricultural industry. Megan’s vision for the agricultural industry is a product of her knowledge and interests far beyond her business world of agriculture. Her understanding of technology, design and marketing is unique in the industry and is key to the success of her clients and her organization. Within the few years at Nobis Agri Science, Megan has led the design and implementation of all marketing strategies and business development and revitalized the organization’s brand. Recently, Megan has taken on a new challenge, the implementation of modernized processes in operations and technology to better serve the needs and wants of a rapidly changing agricultural industry. Megan’s greatest strengths are her creativity, drive and leadership. She challenges the status quo of the industry. In an industry that is traditional and often falls into the thinking of “this is how we have always done it”, Megan is able to recognize opportunities for a new solution. She is able to test the boundaries set forth by clients and vendors by earning their trust through excellent communication and a tenacity to get the job done not only right but better. Meet the 30 Under 30 for 2019. These young professionals who graduated from Western Michigan University's Haworth College of Business are doing extraordinary things in business—shaping their industries, making a difference in their communities, and breaking new ground.